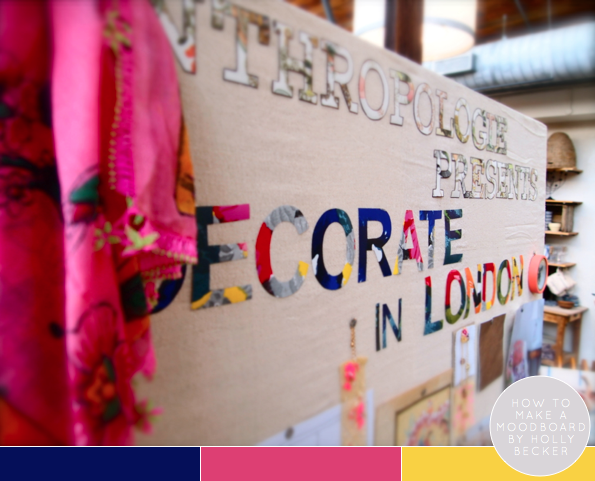 On Sunday I hotfooted my way to Anthropologie on the King’s Rd in South Kensington to listen to Holly Becker, Leslie Shewring and Abigail Ahern share their tips for creating inspiring and functional mood boards. 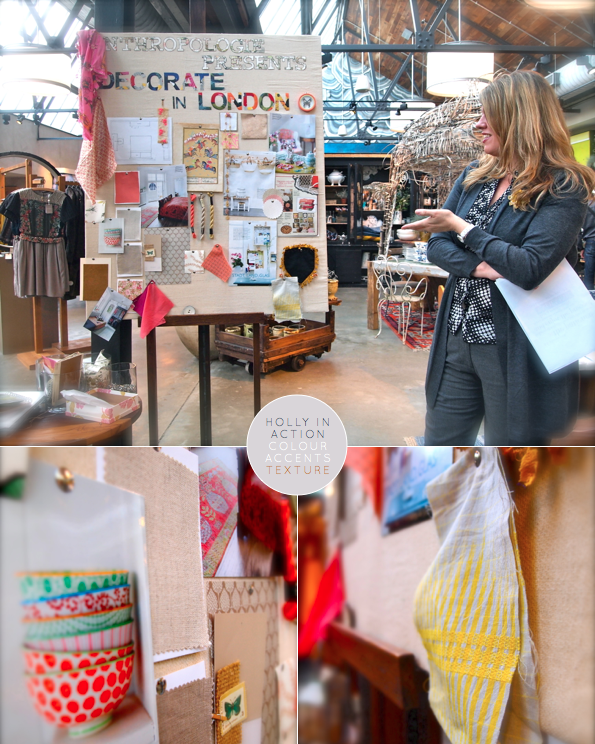 Holly kicked off proceedings by sharing the context of the moodboard she was creating for us: it wasn’t a specific, room-focused board that a designer would do for a client. Rather, this was going to be an example of a board you could create to help focus your creative energy and inspirations for decorating. Taking a painting from a trip to Istanbul as her starting point, Holly then added fabrics, tear sheets from magazines, buttons, colour swatches and other materials that tied into the scheme inspired by the piece, to the board. Leslie suggested it was a good idea to have a ‘mini board’ that you could carry around with you when shopping to remind you of the exact colours and textures you liked – Holly even had an example to show the group. 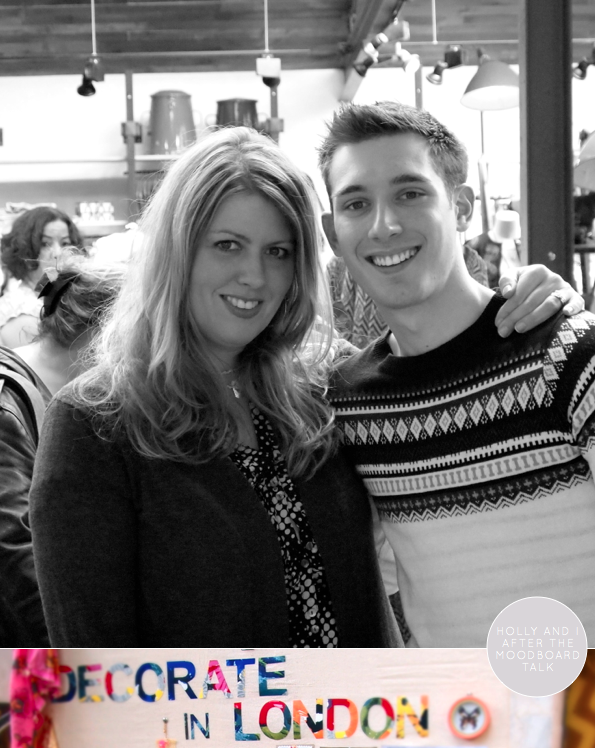 Even though I was in the middle of a cold, I had a great time and thought it was a fantastic event! 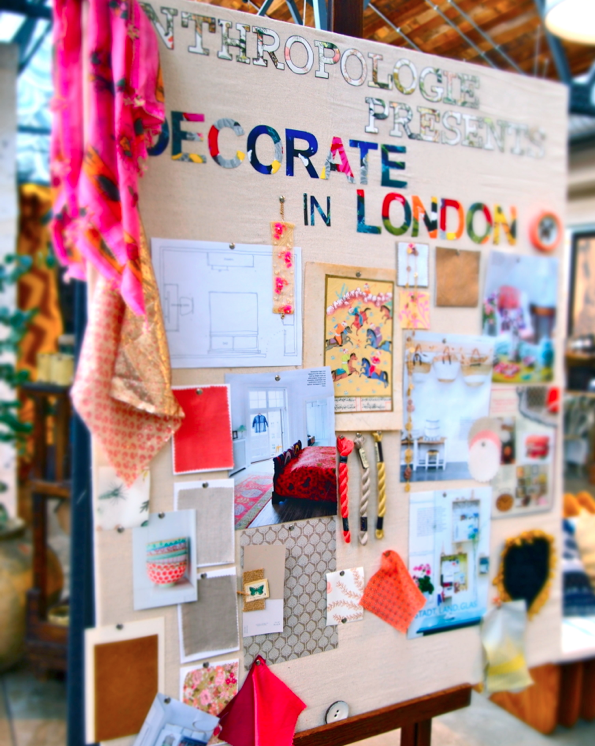 Do you make many moodboards when decorating at home? What works well for you? Quite the dynamic duo! 😉 What a fun event! Would love to have been there. 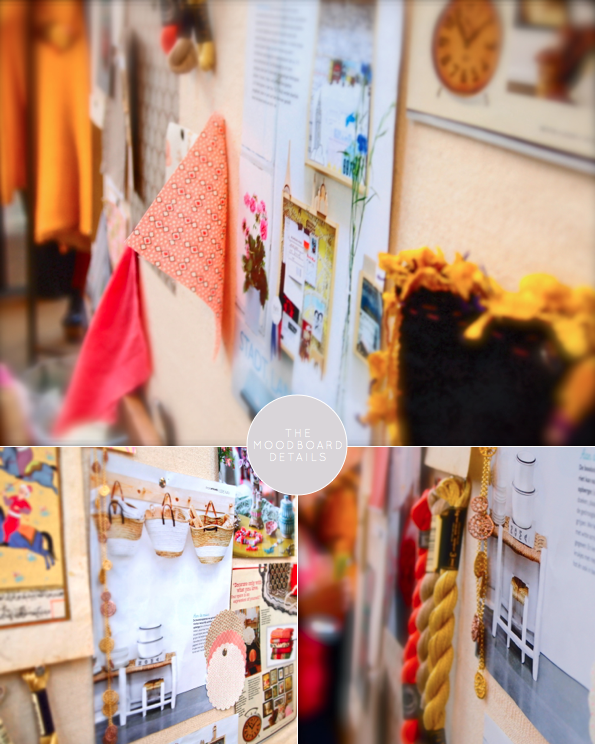 My mood board consists of bits of travel souvenirs,scraps of fabrics and papers. Things that really just make smile! I always moodboard my rooms even though my non-styling friends rib me for it! I have big corkboards painted white – easy to pin things onto and play around. Then I photograph the board on my phone for reference when out and about. It's a simple alternative to a physical mini moodboard and means I just carry a swatch of the important bits, like fabrics or wallpaper.